This article is about the church headed by the pope. 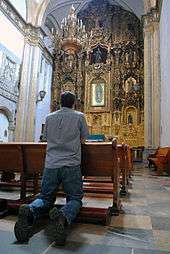 For churches with shared beliefs and traditions, see Catholicism. For other uses, see Catholic Church (disambiguation). "Catholic", "Roman Catholic", and "Roman Catholic Church" redirect here. For other uses, see Catholic (disambiguation), Roman Catholic (disambiguation), and Roman Catholic Church (disambiguation). Canon law makes no provision for divorce between baptised individuals, as a valid, consummated sacramental marriage is considered to be a lifelong bond. However, a declaration of nullity may be granted when proof is produced that essential conditions for contracting a valid marriage were absent from the beginning — in other words, that the marriage was not valid due to some impediment. A declaration of nullity, commonly called an annulment, is a judgement on the part of an ecclesiastical tribunal determining that a marriage was invalidly attempted. In addition, marriages among unbaptised individuals may be dissolved with papal permission under certain situations, such as a desire to marry a Catholic, under Pauline or Petrine privilege. An attempt at remarriage following divorce without a declaration of nullity places "the remarried spouse […] in a situation of public and permanent adultery". An innocent spouse who lives in continence following divorce, or couples who live in continence following a civil divorce for a grave cause, do not sin. 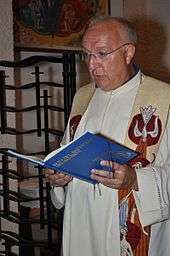 The council, however, generated significant controversy in implementing its reforms: proponents of the "Spirit of Vatican II" such as Swiss theologian Hans Küng said that Vatican II had "not gone far enough" to change church policies. 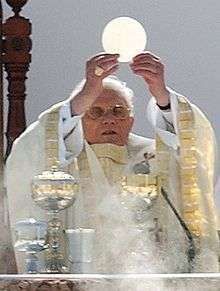 Traditionalist Catholics, such as Archbishop Marcel Lefebvre, however, strongly criticised the council, arguing that its liturgical reforms led "to the destruction of the Holy Sacrifice of the Mass and the sacraments", among other issues. 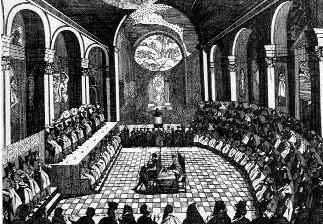 Several teachings of the Catholic Church came under increased scrutiny both concurrent with and following the council; among those teachings was the church's teaching regarding the immorality of contraception. The recent introduction of hormonal contraception (including "the pill"), which were believed by some to be morally different than previous methods, prompted John XXIII to form a committee to advise him of the moral and theological issues with the new method. 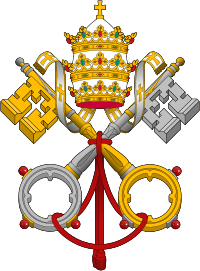 Paul VI later expanded the committee's scope to freely examine all methods, and the committee's unreleased final report was rumoured to suggest permitting at least some methods of contraception. 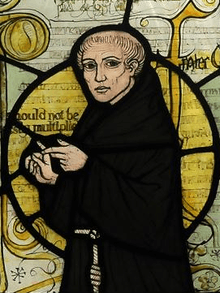 Paul did not agree with the arguments presented, and eventually issued Humanae vitae, saying it upheld the constant teaching of the church against contraception, expressly including hormonal methods as prohibited. [note 17] A large negative response to this document followed its release. ↑ While the Catholic Church considers itself to be the authentic continuation of the Christian community founded by Jesus, it teaches that other Christian churches and communities can be in an imperfect communion with the Catholic Church. ↑ Quote of St Ignatius to the Smyrnaeans (circa 110 AD): "Wheresoever the bishop shall appear, there let the people be, even as where Jesus may be, there is the universal [katholike] Church." ↑ Lorenzo Valla, an Italian Catholic priest and Renaissance humanist, is credited with first exposing the forgery of The Declaration of Constantine with solid philological arguments in 1439–1440, although the document's authenticity had been repeatedly contested since 1001. 1 2 "L'Annuario Pontificio 2015 e l' "Annuarium Statisticum Ecclesiae" 2014". ↑ Joyce, George (1913). "The Pope". In Herbermann, Charles. Catholic Encyclopedia. New York: Robert Appleton Company. Retrieved 2 July 2016. Stanford, Peter (29 June 2011). "Roman Catholic Church". BBC Religions. Retrieved 14 December 2014. 1 2 3 "Vatican congregation reaffirms truth, oneness of Catholic Church". Catholic News Service. Retrieved 17 March 2012. ↑ Bokenkotter, Thomas (2004). A Concise History of the Catholic Church. New York: Doubleday. p. 7. ↑ "The Apostolic Tradition". Catechism of the Catholic Church. Vatican. Retrieved 22 July 2011. 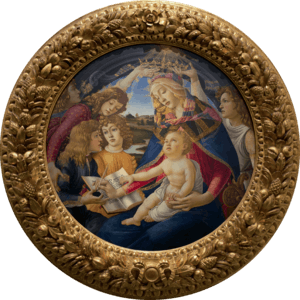 ↑ Second Vatican Council, Lumen gentium, 25 Archived 6 September 2014 at the Wayback Machine. 1 2 "The paschal mystery in the sacraments of the church". Compendium of the Catechism of the Catholic Church. Vatican.va. 2005. Retrieved 14 December 2014. ↑ "CCC 1333,1375—1376, 1416". Vatican.va. Archived from the original on 18 August 2016. Retrieved 13 December 2014. ↑ "CCC, 1399". Vatican.va. Archived from the original on 16 June 2012. Retrieved 26 June 2012. ↑ "CCC 963–975". Vatican.va. Archived from the original on 14 December 2014. Retrieved 20 December 2014. 1 2 "Pope Benedict XVI. 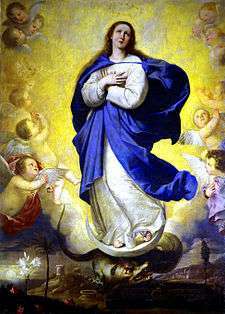 1 January 2012 – Feast of Solemnity of the Blessed Virgin Mary". Vatican.va. 1 January 2012. Retrieved 17 August 2012. ↑ "Munificentissimus Deus: Defining the Dogma of the Assumption". 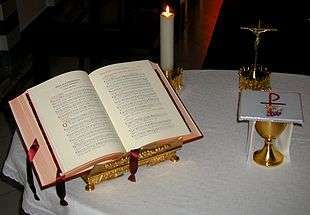 Apostolic Constitution of Pope Pius XII. 1 November 1950. Archived from the original on 4 September 2013. Retrieved 15 June 2011. According to paragraph 44: "...we [Pope Pius XII] pronounce, declare, and define it to be a divinely revealed dogma: that the Immaculate Mother of God, the ever Virgin Mary, having completed the course of her earthly life, was assumed body and soul into heavenly glory." 1 2 Agnew, John (12 February 2010). "Deus Vult: The Geopolitics of Catholic Church". Geopolitics. 15 (1): 39–61. doi:10.1080/14650040903420388. ↑ "Catholic". Dictionary.com. Retrieved 30 June 2011. Entries from multiple reference works. 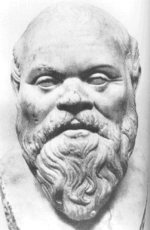 ↑ Liddell, Scott, Jones, Greek Lexicon, s.v. 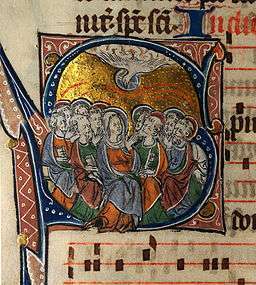 ; the use of ecclesia dates back to the earliest Greek prose and has cognates in Homer. In the King James Bible congregation represents several different Hebrew words, some of them translated differently in Greek. ↑ "Eastern Orthodoxy", Encyclopaedia Britannica online. ↑ McBrien, Richard (2008). The Church. Harper Collins. p. xvii. Online version available Browseinside.harpercollins.com. Quote: "[T]he use of the adjective 'Catholic' as a modifier of 'Church' became divisive only after the East–West Schism... and the Protestant Reformation. … In the former case, the Western Church claimed for itself the title Catholic Church, while the East appropriated the name Orthodox Church. In the latter case, those in communion with the Bishop of Rome retained the adjective "Catholic", while the churches that broke with the Papacy were called Protestant." Archived 27 August 2009 at the Wayback Machine. ↑ Whelton, M. (1998). Two Paths: Papal Monarchy – Collegial Tradition. Salisbury, MA: Regina Orthodox Press. p. 113. ↑ Vauchez, Andre (2001). Encyclopedia of the Middle Ages. Routledge. p. 445. ISBN 9781579582821. ↑ "The Donation of Constantine," in From Irenaeus to Grotius: A Sourcebook in Christian Political Thought, ed. Oliver O'Donovan and Joan Lockwood O'Donovan (Grand Rapids, MI: Eerdmans Publishing Co., 1999), pp. 228-230. ↑ Catechism of the Catholic Church Archived 6 February 2012 at the Wayback Machine.. Vatican.va. Retrieved 1 May 2009. ↑ The Vatican. 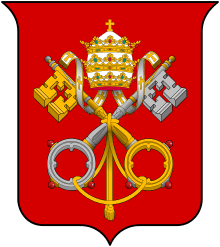 Documents of the II Vatican Council. Retrieved 4 May 2009. Note: The pope's signature appears in the Latin version. ↑ Van Hove, A. (1913). "Hierarchy". In Herbermann, Charles. Catholic Encyclopedia. New York: Robert Appleton Company. |access-date= requires |url= (help) "It is usual to distinguish a twofold hierarchy in the Church, that of order and that of jurisdiction, corresponding to the twofold means of sanctification, grace, which comes to us principally through the sacraments, and good works, which are the fruit of grace." ↑ "Agreement between the Holy See and the Republic of Malta on the recognition of civil effects to canonical marriages and to the decisions of the ecclesiastical authorities and tribunals about the same marriages". Vatican.va. 3 February 1993. Retrieved 6 August 2014. ↑ "CCEO, Canon 56.". Intratext.com (English Translation). 1990. ↑ "Congregation for the Oriental Churches: Profile". Rome: Vatican.va. Retrieved 2 April 2015. 1 2 Acta Apostolicae Sedis 86 (1994) pp. 541–542 (Official Latin Archived 21 July 2015 at the Wayback Machine. ; English translation) Archived 21 July 2015 at the Wayback Machine. 1 2 3 4 ""Pontifical Yearbook 2016 and the Annuarium Statisticum Ecclesiae 2014: dynamics of a Church in transformation, 05.03.2016"". 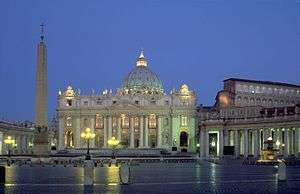 ↑ ""VATICAN – World Mission Day: Catholic Church Statistics 2015"". ↑ "The teaching office". Catechism of the Catholic Church. Vatican. Retrieved 28 April 2011. 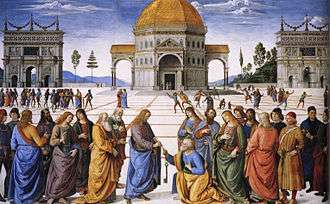 889 in order to preserve the Church in the purity of the faith handed on by the apostles, Christ who is the Truth willed to confer on her a share in his own infallibility. ↑ "CCC, 80–81". Vatican.va. Retrieved 30 June 2011. ↑ "CCC, 85–88". Vatican.va. Retrieved 30 June 2011. ↑ John Paul II, Pope (1997). "Laetamur Magnopere". Vatican. Retrieved 21 March 2015. ↑ "CCC, "Jesus Christ suffered under Pontius Pilate, was crucified, died, and was buried"". Vatican.va. Retrieved 30 December 2014. ↑ "Catechism of the Catholic Church – IntraText – CCC 248". vatican.va. Retrieved 12 February 2016. ↑ Paragraph 2, second sentence: "Archived copy". Archived from the original on 11 February 2012. Retrieved 2015-06-20. ↑ "Catechism of the Catholic Church – IntraText – CCC, 811". vatican.va. 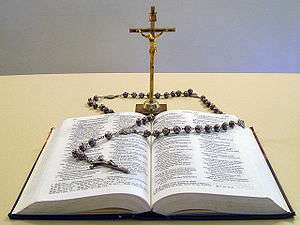 ↑ "Catholic Prayers, Novenas, Prayers of Jesus, Marian Prayers, Prayers of the Saints". EWTN. Retrieved 4 April 2015. ↑ "CCC, 1210–1211". Vatican.va. Retrieved 30 June 2011. ↑ "CCC, 1275". Vatican.va. Retrieved 30 June 2011. ↑ "CCC, 1282". Vatican.va. Retrieved 30 June 2011. ↑ "CCC, 1250". Vatican.va. Retrieved 30 June 2011. ↑ "CCC, 1256". Vatican.va. Retrieved 30 June 2011. ↑ "Canon 891". 1983 Code of Canon Law. Vatican.va. Retrieved 30 June 2011. ↑ "Catechism of the Catholic Church – IntraText – CCC 1310". vatican.va. Retrieved 12 February 2016. ↑ Canon 1031 Catholic Church Canon Law. Retrieved 9 March 2008. ↑ "CCC, 1631". Vatican.va. Retrieved 30 June 2011. 1 2 "CCC, 1629". Vatican.va. Retrieved 30 June 2011. ↑ "CCEO, Canon 28 § 1". 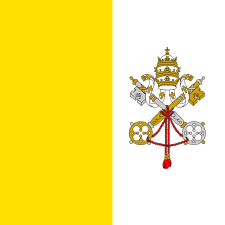 Vatican.va (official text). Intratext.com (English translation). 1990. 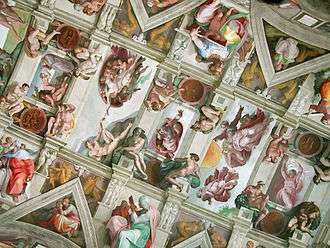 Excerpt: "Ritus est patrimonium liturgicum, theologicum, spirituale et disciplinare cultura ac rerum adiunctis historiae populorum distinctum, quod modo fidei vivendae uniuscuiusque Ecclesiae sui iuris proprio exprimitur." 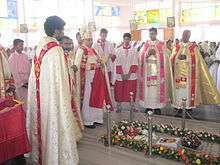 (A rite is the liturgical, theological, spiritual and disciplinary heritage, differentiated by peoples' culture and historical circumstances, that finds expression in each sui iuris Church's own way of living the faith). ↑ "Instruction on the application of the Apostolic Letter Summorum Pontificum of His Holiness Pope Benedict XVI given Motu Proprio". vatican.va. Retrieved 12 February 2016. 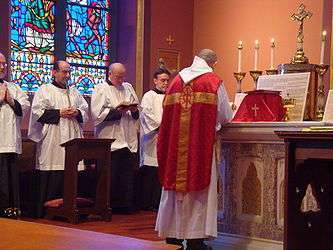 ↑ Apostolic Constitution of Pope Benedict XVI: "Anglicanorum Coetibus: Providing for Personal Ordinariates for Anglicans Entering into Full Communion with the Catholic Church". 4 November 2009. Retrieved 31 July 2011. ↑ Fortescue, Adrian (1913). "Eastern Churches". In Herbermann, Charles. Catholic Encyclopedia. New York: Robert Appleton Company. 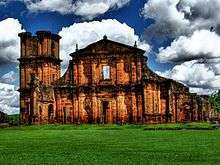 |access-date= requires |url= (help) See "Eastern Catholic Churches"; In part: "The definition of an Eastern-Rite Catholic is: A Christian of any Eastern Catholic churches in union with the pope: i.e. a Catholic who belongs not to the Roman, but to an Eastern rite. They differ from other Eastern Christians in that they are in communion with Rome, and from Latins in that they have other rites." ↑ "Canon 222 § 2". 1983 Code of Canon Law. Vatican.va. Retrieved 12 February 2016. ↑ "International Catholic Peacebuilding Organizations (directory)". Notre Dame, IN: Catholic Peacebuilding Network. 2015. Retrieved 2 April 2015. ↑ "CCC, Part 3,Section 2,Chapter 2, Article: THE SIXTH COMMANDMENT". Vatican.va. Retrieved 17 November 2014. 2332: Sexuality affects all aspects of the human person in the unity of his body and soul. 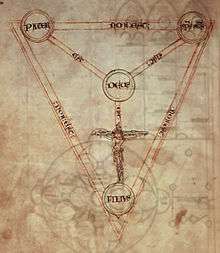 It especially concerns affectivity, the capacity to love and to procreate, and in a more general way the aptitude for forming bonds of communion with others. ↑ Catholics for a Choice (1998). "A Matter of Conscience: Catholics on Contraception" (PDF). Catholics for a Choice. Retrieved 1 October 2006. ↑ Thavis, John (18 March 2009). "Pope's condom comments latest chapter in sensitive church discussion". Retrieved 21 February 2010. Pope Benedict XVI's declaration that distribution of condoms only increases the problem of AIDS is the latest and one of the strongest statements in a simmering debate inside the church... he was asked whether the church's approach to AIDS prevention – which focuses primarily on sexual responsibility and rejects condom campaigns – was unrealistic and ineffective. 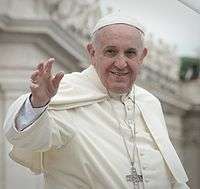 … The pope did not get into the specific question of whether in certain circumstances condom use was morally licit or illicit in AIDS prevention, an issue that is still under study by Vatican theologians. ↑ Ertelt, Steven (6 June 2006). "Catholic Church Issues Condemnation of Abortion, In-Vitro Fertilization". Life News Site. Retrieved 2 April 2015. ↑ "CCC, 2357–2359". Vatican.va. Retrieved 5 February 2014. Archived 13 August 2013 at the Wayback Machine. ↑ "CCC, 2358–59". Vatican.va. Retrieved 5 February 2014. "Archived copy". Archived from the original on 13 August 2013. Retrieved 2013-08-02. ↑ "Canon 1379". 1983 Code of Canon Law. Vatican.va. Retrieved 17 August 2012. ↑ "Saint Peter the Apostle: Incidents important in interpretations of Peter". Encyclopaedia Britannica. Retrieved 8 November 2014. ↑ "Was Peter in Rome?". Catholic Answers. 10 August 2004. 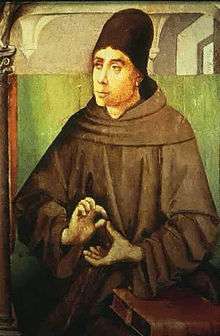 Retrieved 9 November 2014. if Peter never made it to the capital, he still could have been the first pope, since one of his successors could have been the first holder of that office to settle in Rome. After all, if the papacy exists, it was established by Christ during his lifetime, long before Peter is said to have reached Rome. 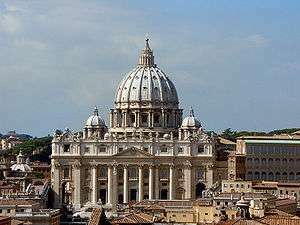 There must have been a period of some years in which the papacy did not yet have its connection to Rome. ↑ Le Goff, p. 14:"The face of the barbarian invaders had been transformed by another crucial fact. Although some of them had remained pagan, another part of them, not the least, had become Christian. 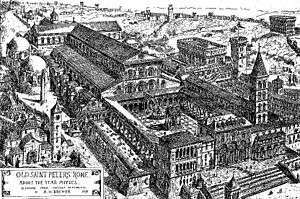 But, by a curious chance, which was to leave serious consequences, these converted barbarians – the Ostrogoths, Visigoths, Burgundians, Vandals, and later the Lombards – had been converted to Arianism, which had become a heresy after the council of Nicaea. They had in fact been converted by followers of the 'apostle of the Goths', Wulfilas." ↑ Phillips, Jonathan (2005). The Fourth Crusade and the Sack of Constantinople. Penguin Books.